The BT-410 Module enables the Robotis Darwin Mini Robot and various robot controllers to receive commands wirelessly over BLE Bluetooth Smart 4.0. This module provides a wireless BLE Bluetooth Low Energy slave connectivity compatible with a variety of Robotis robot controllers using a serial protocol. 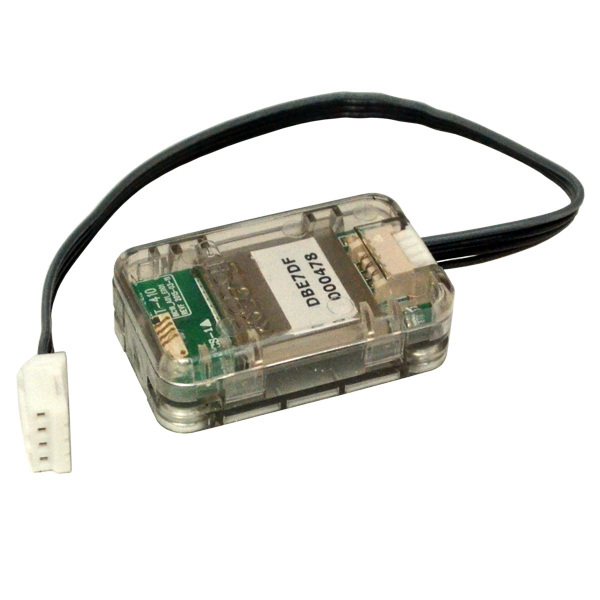 It attaches to your Robotis robot controller using a 4 pin connector and operates as a serial UART port. 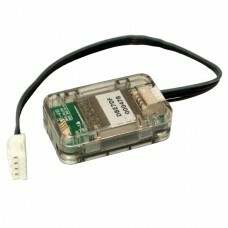 Supported robot controllers include the OpenCM 9.04C as used in the Robotis Darwin Mini Robot. See the online user manual for the latest list of supported devices. Use the BT-410 to control your Robotis Darwin Mini Robot from your Apple iPhone or other iOS 6+ device using the Robotis Mini App. It is also compatible with Android 4.4 and higher. This module is not intended for use with a PC or Mac. 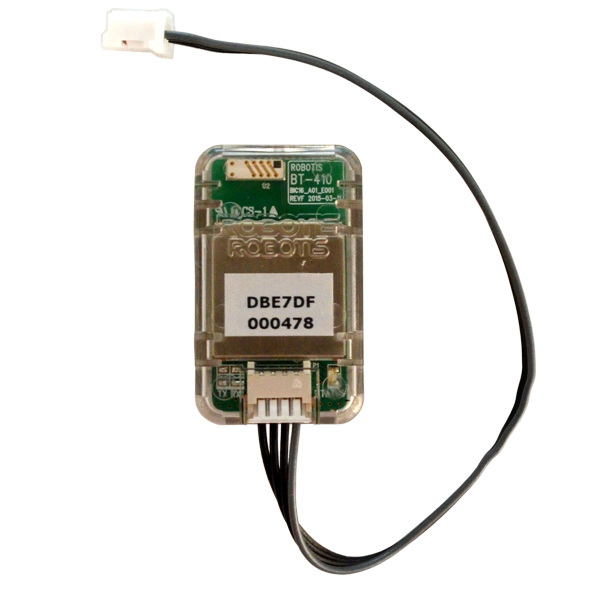 This wireless BLE module has a range of about 10 meters. A 120mm long 4 pin connector cable is included.